We recently spoke to members of the public regarding their use of technology both at home and at work. As the following video shows, people’s expectations of technology are growing as their digital lives are becoming increasingly interconnected. The video also goes on to highlight current opinions on IP surveillance in the home and the growing user demand for any time, anywhere access to their digital content. According to recent research, Britons are storing up to £24 billion worth of digital assets in the cloud. By using internet services you can get to all of your photos, music and files from any location. This is particularly handy if you want to show a friend holiday photos or show off your music taste with your latest album purchase. While this is obviously a good thing, the survey also showed how storing all your content in the cloud raises some concerns. However much you may trust your cloud storage provider, once you put your content in the cloud, there is an element of losing control. One example came in August last year when cloud storage service Dropbox was targeted by hackers to get users details for spam attacks. Security problems like these have affected public confidence which is reflected in the survey showing only a very small proportion of consumers “totally trusted” their cloud provider and more than half cited privacy (54%) as one of their biggest concerns around cloud computing. So how can users still take advantage of the flexibility of public cloud services while keeping all their digital assets safe? One answer is the personal cloud. Home digital storage is now more than capable of storing all your existing digital content in one place now and for years to come. This way you don’t have to worry about the safety your digital content or hackers accessing your personal files. So rather than storing your files in the great unknown of the public cloud, your content sits on your home storage device where you know it is safe and sound behind your network firewall. The latest cloud applications mean you can still access all your content from any location and on any device, whether it’s your laptop, iPad or mobile device. 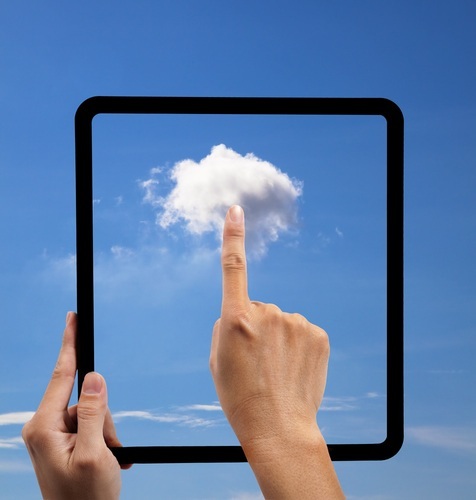 The personal cloud means you can now have all the benefits of the cloud without worrying about any downsides. When it comes to looking after your digital content, having a personal cloud means there are bright skies ahead.